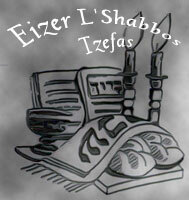 10 Elul is the yahrzeit of Rebbe Pinchas of Koretz, one of the early disciples of the Ba’al Shem Tov. He was born in Shklov, White Russia (now Belarus), in 1726. His father was Rabbi Avraham Abba Shapira, the descendant of an illustrious line of Talmudic scholars. R' Pinchas received a thorough Torah education and studied the Tanach and Talmud as well as the writings of the great medieval Jewish philosophers. In his youth, he gained fame for writing Talmudic dissertations and halachic novellae. When his father was falsely accused of a crime, the family was forced to escape from Shklov, and they eventually settled in Miropol in Volhynia, the westernmost province of the Ukraine. While living there, his father, who had been a firm opponent of Chassidism, visited the Ba’al Shem Tov and decided to join the new movement. He encouraged his son, R' Pinchas, to become a follower of the Besht as well. After 20 years in Koretz, R’ Pinchas moved to Ostroh. In 1791, he decided to go to Tzfat, Israel, but he became ill and died along the way in the town of Shepetovka. 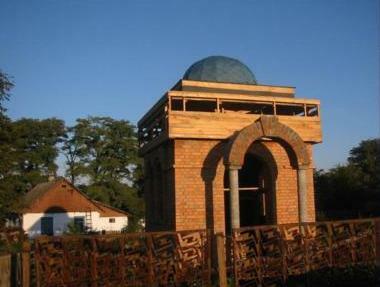 In 2004, the burial site in Shepetovka was restored by Rabbi Yisroel Meir Gabai, and an ohel was constructed over the tomb). After the death of R’ Pinchas, most of his followers became the disciples of R’ Raphael of Bershad. R’ Pinchas did not write any books, but his teachings were widely quoted by other rebbes and compiled as the Midrash Pinkhas, Nofeth Tzufim, and Pe’er LaYesharim. A manuscript that survived the Holocaust was published by Rabbi Elimelech Elazar Frankel in 2003 as the Imrei Pinchas HaShalem. The two volumes contain a collection of the writings of R’ Pinchas and R’ Raphael, arranged in the order of the weekly parsha. They also include stories about the lives of these tzaddiks as well as biographical material on the rebbes and their families, information on their minhagim, reproductions of handwritten documents, ornate title pages of printed treatises, and photos. Per Milton Aron, R’ Pinchas was very fond of song, believing that if the pious sang beautifully, it would be possible to influence G-d to leave Heaven and make His abode among human beings on earth. Reb Pinchos Koritzer and his talmidim left a very big influence on Ukranian Chasidus, and even before any sforim with his maymorim were printed, they were circulationg amongst many tzadikim and chasidim in ksav yad, and are quoted for example in Bney Yisoschor. > the Imrei Pinchas HaShalem. This recent work is a compilation of almost all sources (printed and not printed before) of which many were printed long before the war. But for the first time someone did a work to compile them all in one, and to fix many mistakes. According to this seyfer (in the end), the real location of the keyver of Reb Pinchos was destroyed by communists yimach shmom. The new location fixed today is not a real place. (How do they know it isn't said their, so you can try to contact the publisher, but for some reason he didn't leave his address). Also, in general - M. Buber is not a good source for reference, because he didn't quote chasidic sources and stories verbatim, but redid many of them (to fit his purposes). He was a philosopher on his own, and chasidic sources were just a spring board for him, and not a primary interest. Therefore one should be careful when quoting his conclusions or books, because often they cn be wrong, as an example above. A Yid: Thank you for your very astute corrections! I agree that Martin Buber’s statements about R’ Pinchas and his versions of the quotations are generally regarded as fanciful and sometimes inaccurate, and that Buber had his own agenda. Obviously, the impact and influence of R’ Pinchas were much greater than he states. Also, some of the writings by R’ Pinchas were, indeed, published earlier; the Imrei Pinchas contains reproductions of the beautiful frontispieces of some of these works. Rebbe Pinchas was buried in the 18th century cemetery that existed at the time. 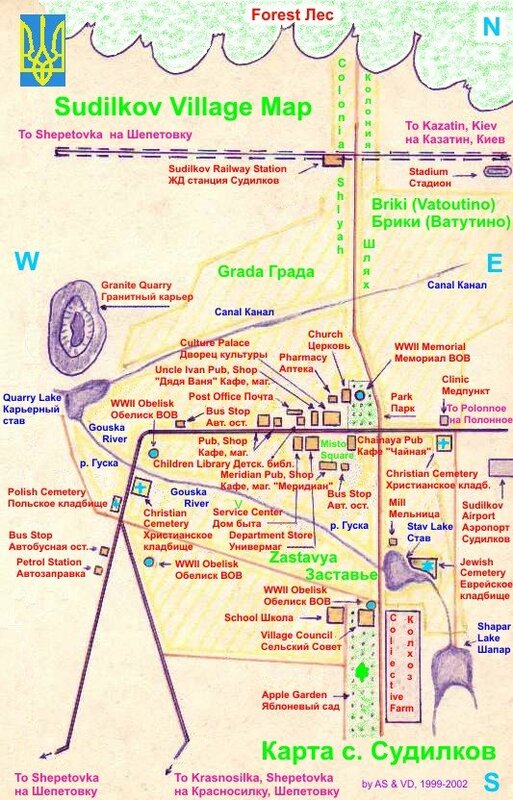 After the Russian Revolution, that cemetery was destroyed. A landsmanschaft organization in the U.S. funded the construction of a new cemetery in 1928. The tombstones were transferred to the new cemetery, where they were photographed by ASJ during his visit a few years ago. However, the actual tomb of R’ Pinchas was not moved. As the town of Shepetovka grew, the site of the old cemetery was now near the center of the town and was used for a police station and a house. When Rabbi Gabai began his restoration, he first confirmed that the tomb was not located near the tombstone. His organization purchased the property where the old cemetery had been, and he confirmed that the grave was still there. He then constructed the ohel, as well as a small guest house to accommodate visitors. In an article, “My Trip to Russia,” in the Jewish Press, dated October 20, 1989, Rabbi Chaim Uri Lipschitz obm says: "In Shepetovka, at the entrance to the cemetery where Rabbi Pinchas (Shapiro) from Kuritz is interred, Bunim Kleiner and a group of Jews awaited us. Bunim Kleiner has been doing this for 70 years." And further," Rabbi Pinchas Kuritz's grave had been situated in the old cemetery until a police station was built on the site. It was then transferred to the newer cemetery. Opinions vary; some believe that only the tombstone was moved. Others say the whole grave was transferred." The accompanying photograph shows the Chevra Kadisha of Shepetovka assembled in 1928 at the dedication of the new cemetery after the old cemetery was destroyed by the Communists. In the beginning of the sefer Medrash Pinchas, there is a letter of approbation by Rabbi Tzvi Yecheskel Michelsohn of the Vaad HaRabonim of Warsaw, dated Sept 8, 1929. He writes: "And on his grave [is a] house [a] surrounded by a wall (or wall surrounding), and in the house near the grave stands the matzeveh/tombstone from [on] the large stone is written these words . . .” My translator friend read these lines from Medrash Pinchas to Rabbi Gabai and asked if he found the foundation of the wall which surrounded the house and he replied that he did. He also said that this area is near the police station (the detail learned from Rabbi Lipshitz's article in the Jewish Press). Thus, the true location of the actual tombstone is at the restoration site where the ohel was constructed, and this was confirmed to us by both Rabbi Gabai (6/12/06) and Rabbi Frankel (7/3/06). When my friend asked Rabbi Frankel why the Imrei Pinchas did not give this information, he replied that the Rabbi Gabai was still trying to purchase the property at the time when the book was published. The stones you photographed were the memorial, and they're still very important and impressive. I don't know for sure, but I would assume, from their appearance, that they were carved and placed there in 1928; surely, the original matzeveh (destroyed by the Communists) would have been far more modest. There are three stones at the memorial, and it's possible that two tombs really are there (of family members, perhaps). Did you take any closeup photos that might be legible enough to provide their identities? Shoshana: Thank you for the information which satifies my curiosity. Unfortunately I did not take any more close-up pictures. One last thing, it was interesting that you mentioned the police station in Shepetovka. During my visit in 2001, the head of the Jewish community told me about some headstones the Jewish community had reclaimed from the police station that were been used for the stairs leading up to the station. I do recall having a picture of some of these reclaimed stones that were temporarily stacked up at the entrance to the Jewish cemetery. A further thought: In re-reading my own comment above, I realize that the current residents of Shepetovka, who are Gentiles, may not have known the precise site of R' Pinchas's grave. However, they probably pointed out the location of the house that had been built on the property. Maybe they also knew that the house covered the grave, or maybe Rabbi Gabai discovered the outlines of the grave under the foundation of the house. Every solved mystery gives birth to a new one! Exactly...when looking at that picture, the person was pointing in the general direction and I was curious how he knew that it started exactly at this spot and not three feet over in another direction. Shoshana Bershad: Thanks a lot for this information. Pity they didn't print it in Imrey Pinchos, and many Yidn are not aware of all this details. By the way, since you contacted R. Gabay, and R. Frenkl, can you give their contacts? Also, if you'll ever speak with R. Gabay himself, tell him over (I'll try also when I can), that there is a problem in the method which his workers use to fix some matzeyvoys. I've heared it from Yidn in Ukrain, who are experts in stone cutting and carving. They say, that some old stone matzeyvoys are restored by painting them in white and covering them in a special substance (similar to one used on wood furniture for example). It looks very nice, but it has a hidden problem. While stone is open and not covered with any chemicals it can "breathe", i.e. it can be eroded, by it can also adjust to the environment easily - constricting and expanding with temperature changes. When it is covered ("plated") with some substance, while it protects it from the elements, but the stone can't adjust anymore to temperature changes, and soon it starts to crack, and letters will fall off and matzeyvoys that stood for several hundres years will be destroyed in a short time! Rabbi Frankel's phone no. is printed at the front of the Imrei Pinchas (I'm very grateful that you and ASJ urged me to purchase this wonderful work). I believe I have the contact info for Rabbi Gabai, but I will have to search for it (if I can't find it, I know my friend also has it, as she made the phone calls, but I may not be able to reach her until next week). ASJ has my email address if you'd like to email me about this, and then I can reply by email with the information (I don't think I should publish the phone nos. on the web). Your comment about the substance that Rabbi Gabai uses on the tombstones is extremely interesting to me (and to my friend), because we noticed that the matzeveh of R' Raphael at Tarashcha looked much whiter after restoration than in an older photo (at first, I thought it was a plaster cast, but I was told that it was the original stone). My friend asked Rabbi Gabai about this, and he said that the inscription had been painted in black, but he didn't mention the white substance on the stone. We finally had to conclude that the whiteness was an artifact of lighting or camera filter. But now I feel like shouting, "Aha! I KNEW it!" Please do try to contact Rabbi Gabai to discuss the potential harm or safety of the substance he uses. This is what I meant. Painting the text and small ornaments in black is especially bad for matzeyvo, because the text (and ornament) can be ruined easily, becaise of the issue I brought above. I'll try to contact him when I'll get his contacts, but you can try it as well when you'll have an opportunity. Yes, I have heard that even using chalk or shaving cream (so the inscriptions will be more legible in the photographs) can be detrimental to old tombstones. Sealing them could certainly damage them! And this is not just theoretical; you say that stoneworkers in the Ukraine have already observed this. Thank you for the informative posting. I am descended from Rebbe Pinchas of Koretz. I would be interested in the connections with your ancestor as well as other information you may have about him. I knew nothing of R' Pinchas of Koretz beyond his name. Thank you for opening my eyes to him and to a new sefer I feel the need to purchase....Is Koretz also known as Poretz, or is that an entirely different small town in Volnihya? Koretz is different than Poretz. Koretz was a shtetl in Volhynia north of Sudilkov and Shepetovka. MCAryeh: I'm glad you know more now. 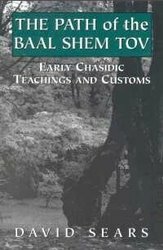 Reb Pinchos Korizter zy"o was one of the greatest talmidim of the Baal Shem Tov hakodoysh, and the fact that many Yidn are not so familiar with his teachings can be explained simply, that there are no Koritzer or Bershader chasidim today who would popularize them. But this recent print (organized by descendants of Reb Pinchos) is a great thing and it makes a difference. Russian and Poylish chasidus became almost extinct today. 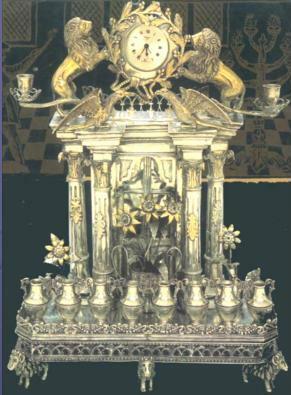 Mostly presented are Hungarian and Romanian chasidus. Amongst Russian chasidim are left probably only Breslov, Lubavitch and Karlin. Roger: Yes, R' Pinchas had several children, and a number of people claim to be his descendants. I have not made a study of his genealogy, but I have seen the names of several sons and daughters and their spouses listed in at least one book on Chassidism (sorry, I didn't make note of the source). Rabbi Moshe Shapira was a son and was the father of Shmuel Avraham Shapiro, who, with his brother, Pinchas, had a printing press in Slavuta. Other famous descendants are Rabbi Yaakov Shimshon of Shepetivka and Rabbi Yehuda Meir Shapiro of Lublin. For Roger (or anyone else who's interested): I found some info for you today at the library (see Rabinowicz: Hasidism: The Movement and Its Masters, p. 52). The first wife of R' Pinchas was named Treina; she gave birth to two sons, Rabbi Meir and Rabbi Moses. After she died, R' Pinchas married Yuta; she gave birth to two sons, Jacob Samson and Ezekiel, and one daughter, Reizel Sheindel. Whilst researching my family tree, I have happened upon a family belief that my late father's family were direct descendants of Reb Pinchas. We have Chassidic roots somewhere- my late father's hebrew name was Schneur Zalman which bore no relation to his Englsh forenames - so this new story deepens the connection but it would be great to know if anyone can help me validate or invalidate this story. Does anyone know where I can find more information about who R' Pinchas of Koretz' descendants were? I have a strong reason to believe that his daughter, Sarah Rachel Shindel married one of my Polonsky ancestors, and that their grandchild was my 3rd great-grandfather, but I would like to verify this. Since my previous post, in December of 2008, and I have successfully traced my ancestry to Rabbi Pinchas of Koretz. His daughter, Reizel (Rachel) Sheindel, did indeed marry Rabbi Shmuel Polonsky, who was the son of Rabbi Mordechai Gellis, and grandson of Rabbi Moses Gellis, of the Brody Klaus. Rabbi Pinchas' son-in-law, Shmuel Polonsky, served as the Chief Rabbi and ABD of Ekaterinopol, and he gave rise to four successive generations of Polonsky rabbis who served as ABDs of their respective towns. This Polonsky lineage is documented in D. Neil Rosenstein's Unbroken Chain. Anyone desiring further information regarding the Polonsky lineage from Rabbi Pinchas of Koretz is welcome to email me at saxkat@msn.com. If there was a collection of R Pinhas's writings in English I would certainly buy it, it seems to me that he had a deeper insight into the very heart of creation than any other thinker I have read, as a Quaker he speaks to my condition. I did come across him via Buber followed by E Weisel . i am trying to trace for a friend a Meshulam ben Yisrael Sharfstein to trace the connection with Rabbi [Yehuda] Meir Shapiro of Lublin, the pioneer of the double-folio Talmud study schedule for Orthodox Jews, Daf Yomi. I am not very well myself,am 54, a long-term abuse victim,disabled, unemployed,Orthodox, and the Charedi ex-Vishnitz,ex-married out, now Chabad lady is 90 years old and confused and pushy, and we live in a traditional jewish mental elderly care home. I am sorry to burden you, as you must be so busy, and obviously have many normal problems, as do we all, but it would be a great service to me and dr yutta singer-mansour[nee sharfstein] if you could help us. Do you know where I can find the original (Hebrew/Yiddish) of this saying by Pinchas? Any interpretations of the passage are most welcomed as well. Thank you for the great post. I was born and lived in Bershad till age 18. That is so exciting to know that there are descendants of Raful Der Emeser! How did you find out it? Did your parents tell you or you did some genealogy research?